An English Governess who is native to the language, has the necessary qualifications and skills for teaching children in English and is responsible for daily communication with them in proper English. English educators promote the understanding among pre- and in-school children that language is used for multiple purposes within multiple meaning-making and communicative contexts. Thanks to their educational and cultural background, for centuries, the wealthy English, African, Arabic and other families have regularly employed English governesses to educate and care for their children. English as a subject encompasses culture and cultural literacy; therefore, English educators encourage the teaching of classic literary texts when appropriate, in addition to other valued literary genres, including young adult literature; creative nonfiction; contemporary popular fiction; we-based texts and media productions. Film, written, spoken and scripted texts, and the variety of aural and visual media configurations constantly being introduced, allow English governesses to encourage modern and up to date westernised education plans and methods. The English Governesses encourage and foster language competence in a variety of genres, contexts and situations as they are continuously introducing and representing diverse groups in terms of race, ethnicity, culture and class. 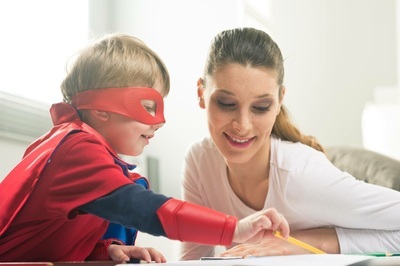 If you reside outside of an English speaking country, an English Governess then gives your child the opportunity to learn English from a native speaker. In countries such as Russia, the UAE, Qatar, Saudi Arabia, et cetera, which are neither English nor French speaking, it is already extremely popular that families employ English or French Governesses for their children who then only communicate with them in English or French. If you would like your children to pursue further education in the best Schools & Colleges of Britain, United States of America or other English countries, it would be advisable for you to employ an English Governess from an early age enabling your children to be bilingual and well versed in Westernised culture. Feel free to contact our agencies should you be interested in hiring a highly professional English Governess for the best grounding for your child. Looking for a English Governess position?